So it only took 90 days, but today was THE day that we got a full day of what you imagine New Zealand to be like. We all agree that today took the cake as our favorite day of hiking on the TA so far. The rain and wind was pretty strong last night. 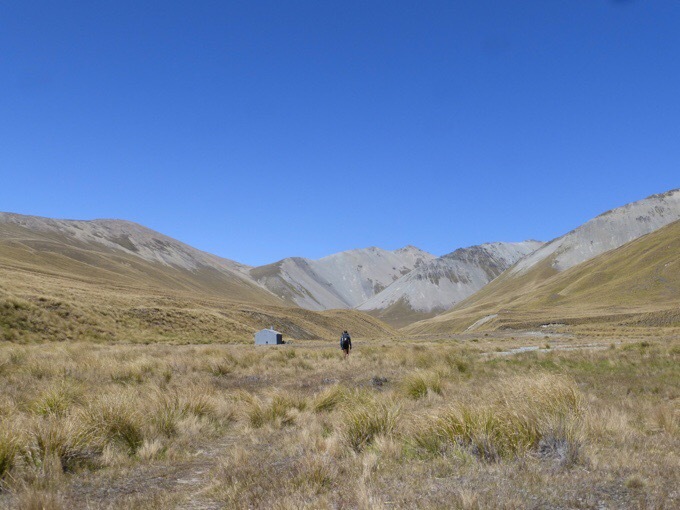 This section has some really exposed areas, and again, the huts are so great to have. It’s hard to imagine any tent that would withstand a whole night in the gale force winds that came through in the last couple days. We all knew the rain was coming and expected to sleep in to wait it out. I woke up first a bit after everything seemed to clear at 7am. I went outside and the lighting was great! 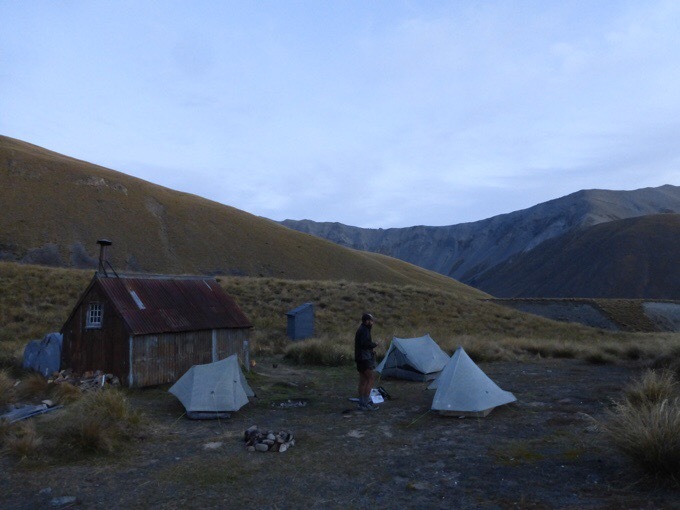 This was definitely one of the most scenic settings we’ve had for a hut. 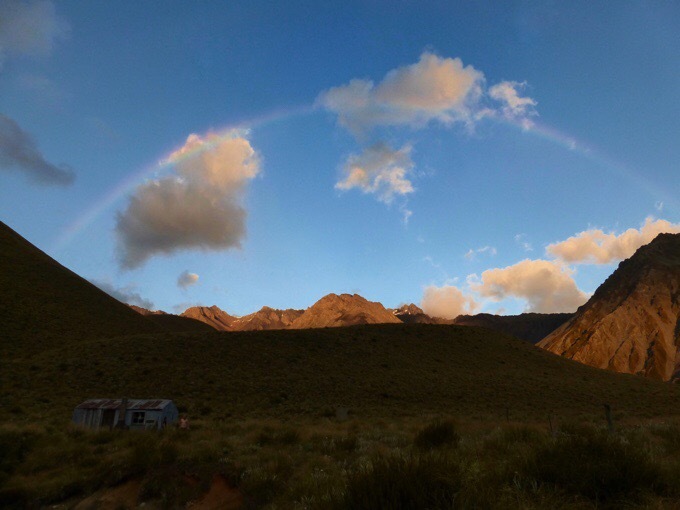 I went to the toilet and when I came out, there was a rainbow stretching across the whole sky over the hut! I ran back to the hut to tell the others and to get a photo before it disappeared. I’ve been waiting all trip to get a full rainbow like that! I imagined seeing full rainbows all the time in New Zealand with how often it rains (I saw many in Australia), but sadly haven’t. What a way to start the day! We set off at 8am just after a few more sprinkles came down and another rainbow appeared in the exact same place over the hut, but much lighter. We started off with a gradual climb up before dropping down to the next valley. It was already warm and we were easily in shorts. 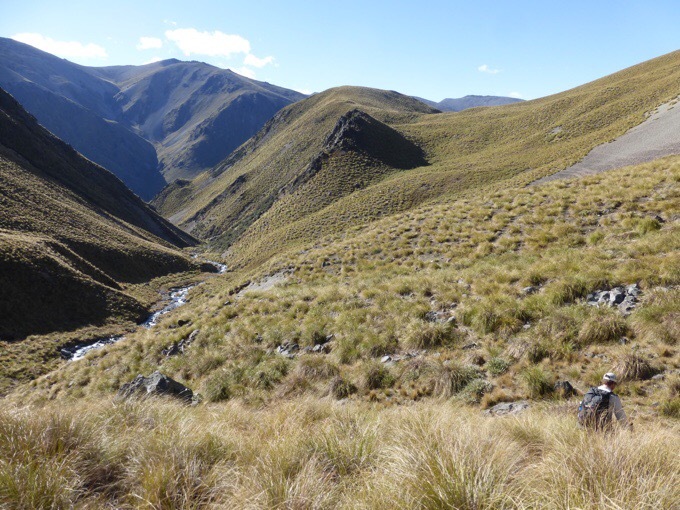 I worried about the wet tussock from all the rain, and we were shocked that everything was really dry. No wet shoes! 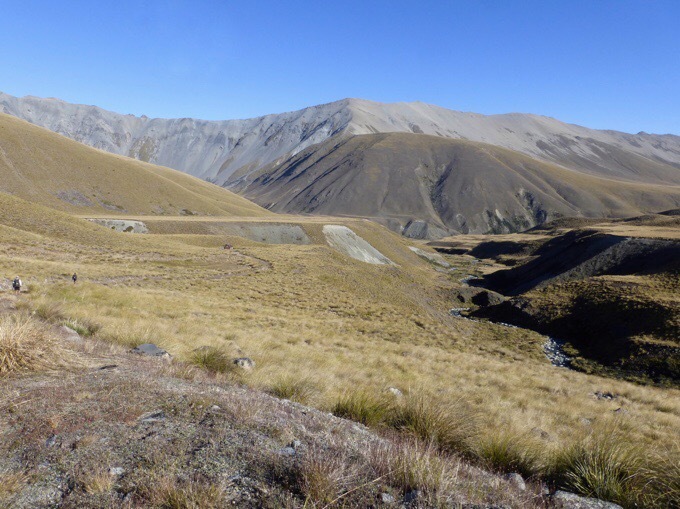 The air and wind in this area must be pretty dry to dry out all the tussock so quickly. My legs were actually really dried out today as well. 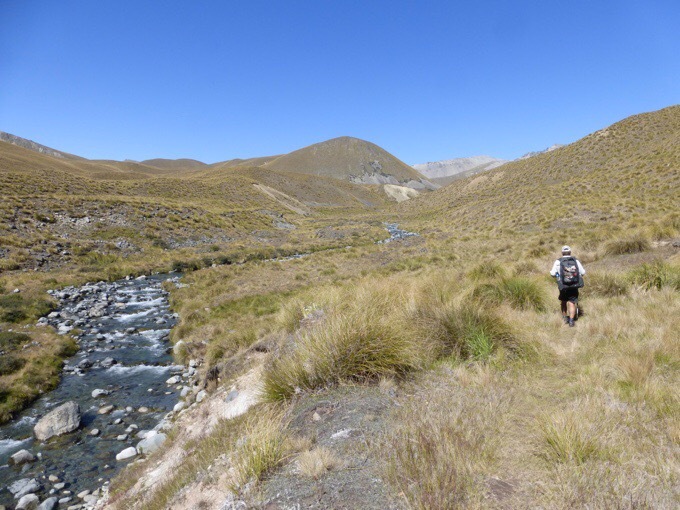 We had great open climbs through tussock that wasn’t too bad to get a good pace in. 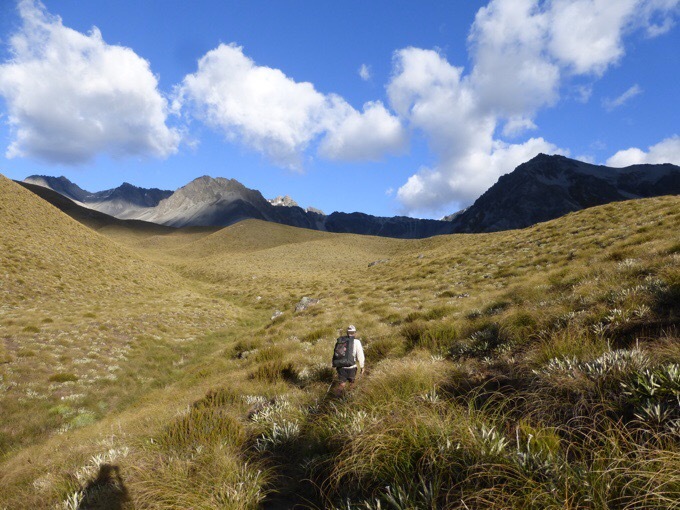 Griggs goes through this stuff like a charging rhino and finds great paths, so he’s perfect to follow in tussock. He also has great sense for finding the orange markers that seemed especially spread out and camouflaged today. Felix left a bit before us this morning, and we caught up about about an hour into the day and pretty much stuck together the rest of the day. We got to Stone Hut a few hours into the day and found that some hunters had left basically trail magic. It was the milk in a cardboard box and chocolate powder. We got to have chocolate milk in the middle of nowhere! Best trail magic for me anywhere! Then it was just another hour and a half to Royal Hut where we ate lunch. We were surprised by how quickly the morning went by and the terrain was much quicker and less tiring than we expected it to be. We did a lot of elevation today, and the scenery must have distracted us because it didn’t tire me nearly as much as I expected. 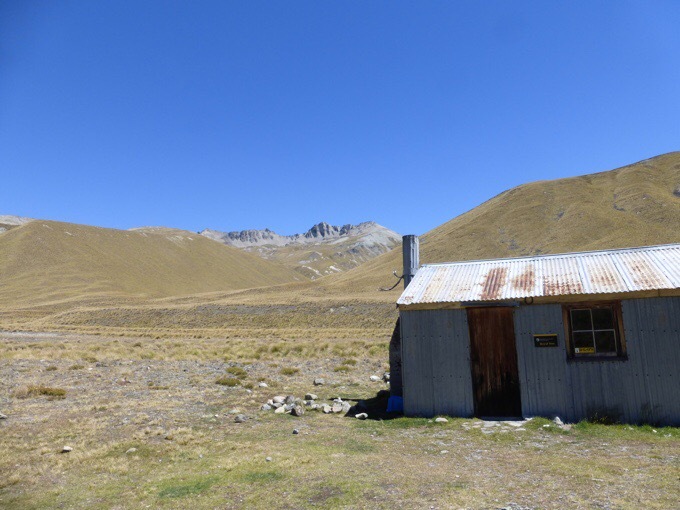 The Royal Hut is named that because Prince Charles and Princess Anne were helicoptered in to stay at the hut back in 1970. Like all the huts out here, it’s quite rustic, made out of sheet metal, and has a dirt and concrete floor. After lunch we had the big event of the day. 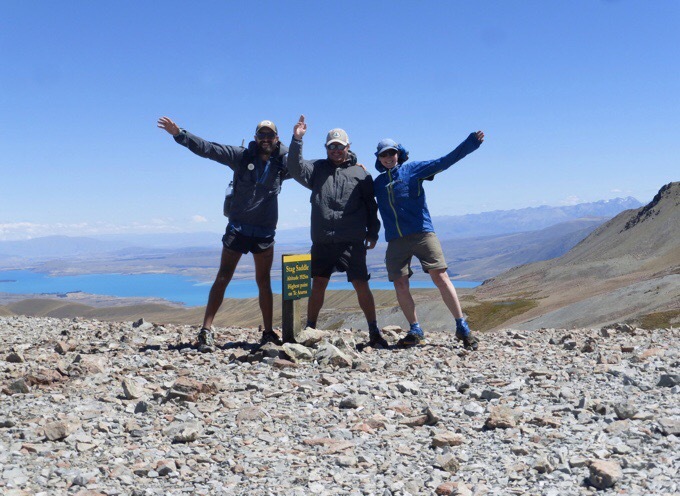 The high point of the Te Araroa, Stag Saddle, at 1925m/6316ft. The view towards Stag Saddle. The climb was nothing unique from others, but we knew there was a cool ridge walk option on the other side and phone service up top. It was pretty windy, but we sat up there a solid thirty minutes all getting some things done online. 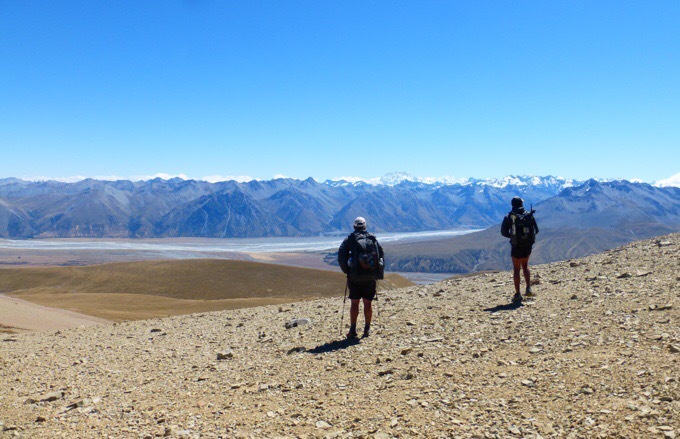 The view looking out over Lake Tekapo was great! The water was an awesome aqua color that you see in glacial lakes that we didn’t expect. 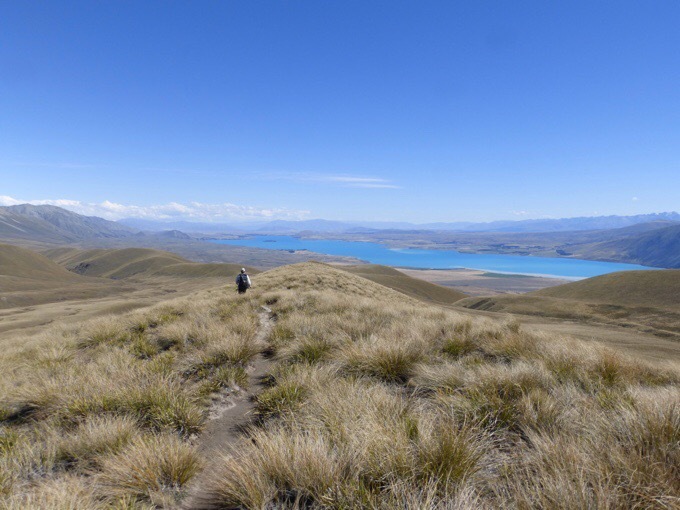 The wind seemed to really pick up, but we still wanted to do the ridge walk option instead of the official TA that drops into the valley of more tussock. We’d heard most hikers take the ridge and that it had awesome views. Oh man, it had the best ridge walk of the whole trip! 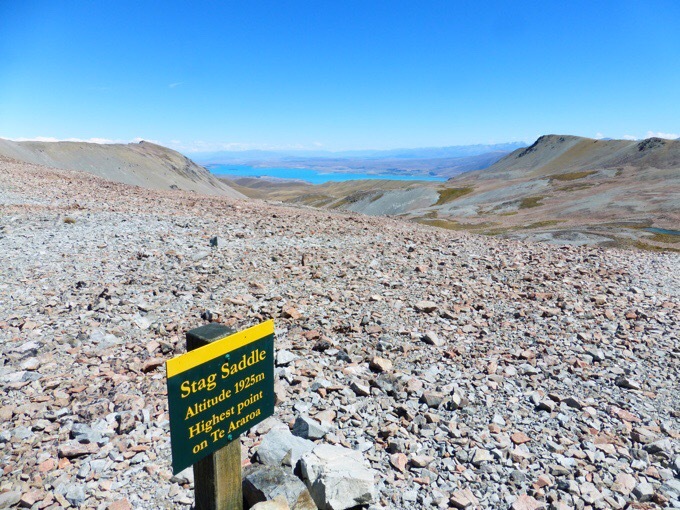 Once we crested the ridge, we could see the mountain range off to the side. 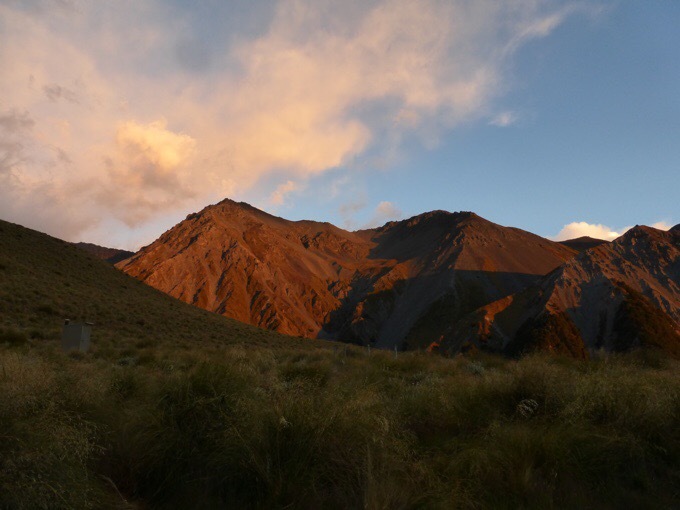 We knew one of them was Mt Cook, the highest mountain in NZ, which we will be taking a side trip to in a few days. Our guess was a snow covered one, but it also wasn’t matching online photos, so we weren’t 100% sure that we were right. It seemed to be the tallest of the range. 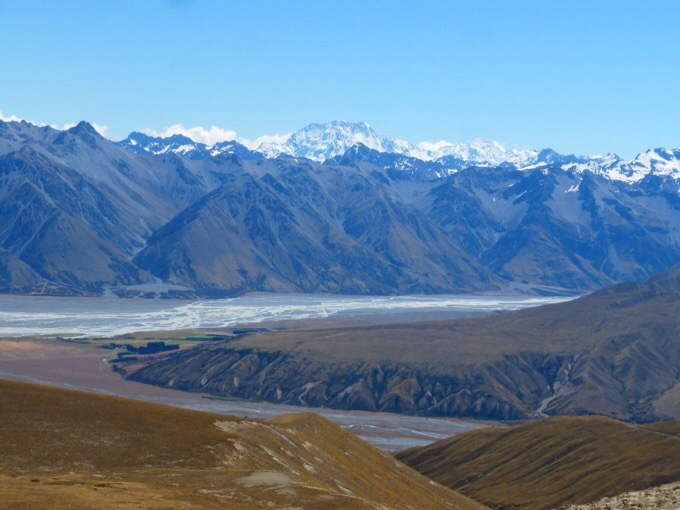 We think this is Mt Cook…? The ridge walk had a great smooth trail that we could glide on and take in the views. So great! We all were on a hiker’s high for sure. Griggs said it reminded him of the ridges in Colorado and that’s the kinda stuff he lives for. It made him homesick and also excited about heading to the CDT after this hike. Felix loved it and took tons of photos and video. Towards the bottom, we stopped where it was warmer and less in the high winds to take it in and so I could post another blog post before losing service. 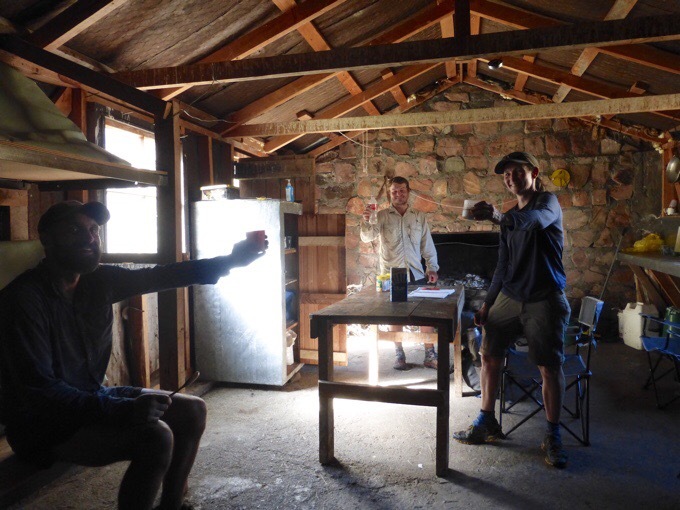 I told Felix and Griggs they could hike on to the hut if they liked, but they were content to just sit and take it in. We all have been starved for this type of stuff, and there is so much less of it on the TA than you’d think. Technically, we weren’t even on the TA as it was in the valley just to our side. This should totally be the official route! It adds a bit of distance, but is such a cruise, that’s it’s much more enjoyable and totally worth it! After about 45mins, we got up and headed on down the ridge to reconnect to the TA. The notes say to go up over one more hill to hit a four wheel drive road on the far side. 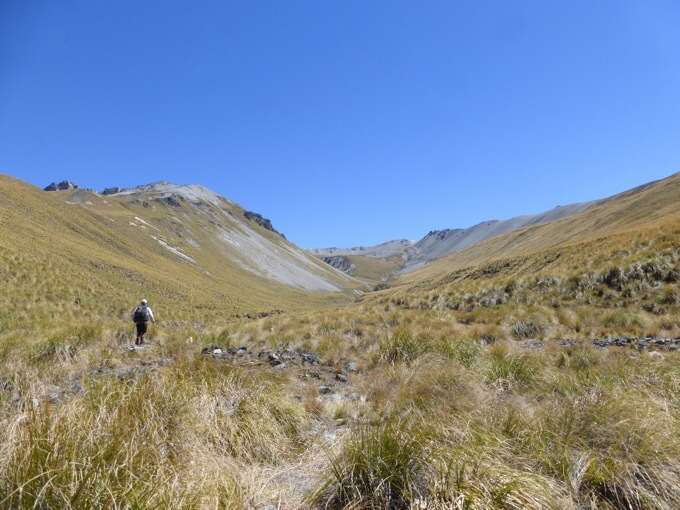 We looked at the climb and chose to stay low and cut across the tussock to reconnect in the valley. We think that was a mistake and that it would have been less painful and less time consuming to just climb the hill like the directions say. 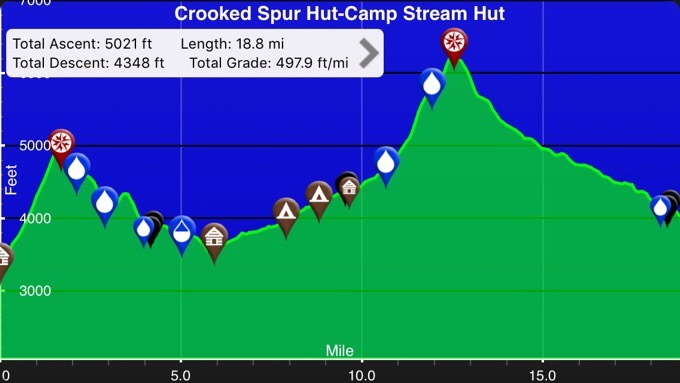 More elevation gain, but probably saves time and effort in the end compared to what we did. It was our TA tax for the day since we joke that there always is one. 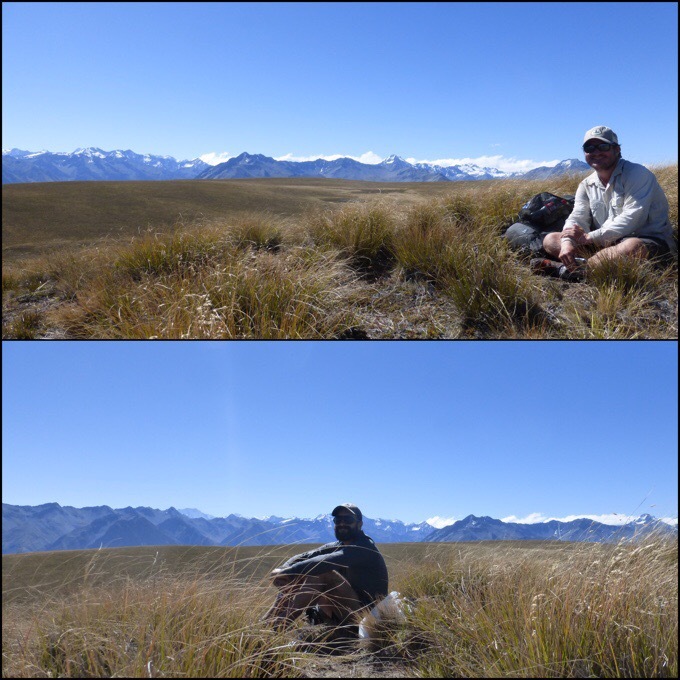 You definitely pay your dues daily on the TA and today was no different with the spear grass and tussock. 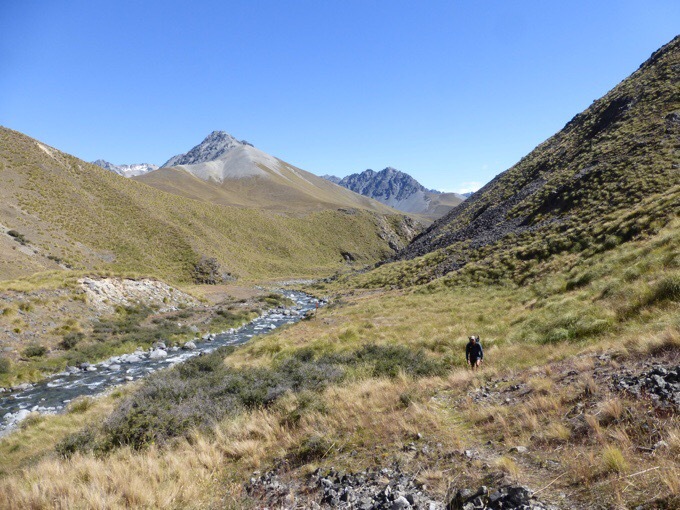 Once we did finally hit the four wheel drive track, it was a quick cruise to Camp Stream Hut. Camp Stream Hut in the distance. 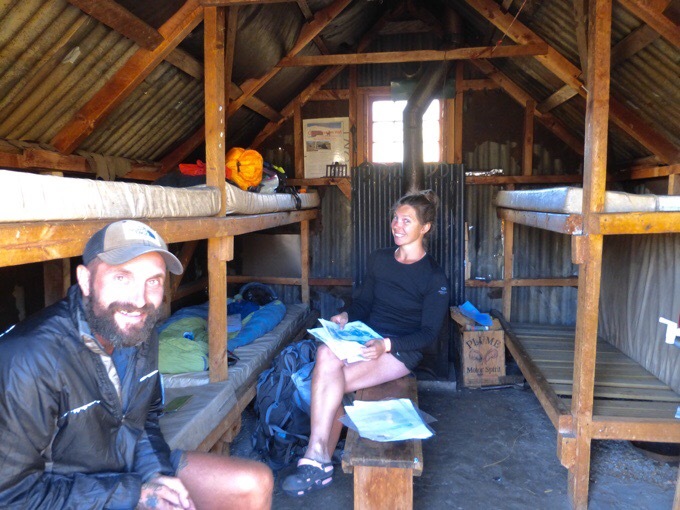 We got to the very rustic hut at 6:40pm and one solo northbounder was already there, Isabelle from Quebec. It was pretty rough inside, and it was a beautiful night, so Griggs and I decided to set up our tents. Being in our tents was the perfect way to end this great day. We figured if wind kicked up, we could always run into the hut. Felix was torn and chose the hut. Then, after 9pm, the mice came out. Felix said they were running all along the roof, and he came out and pitched his tent. Felix also has a ZPacks tent and is by far the most ultralight hiker out here. He uses the Hexamid, which I had back in 2013 on the CDT, but he mostly uses it as a tarp and rarely uses the mesh unless there are bugs. Felix uses a pack with no hip belt, and is also stoveless like Griggs. He soaks ramen cold for dinners and adds tuna or something usually. Felix’s base pack weight is really light. I want to point out that one of his few items is a Euroschirm umbrella just like me. Yep, that’s how awesome it is. Even a gram weenie like Felix sees it as a must have item! Over our zero I will get Griggs and Felix to do gear lists and find out their pack weights. Well, that’s it for this awesome day. We all are quite happy campers tonight out in our tents. Felix even brought out one of the mattresses from the hut to sleep on, haha! What a great day! 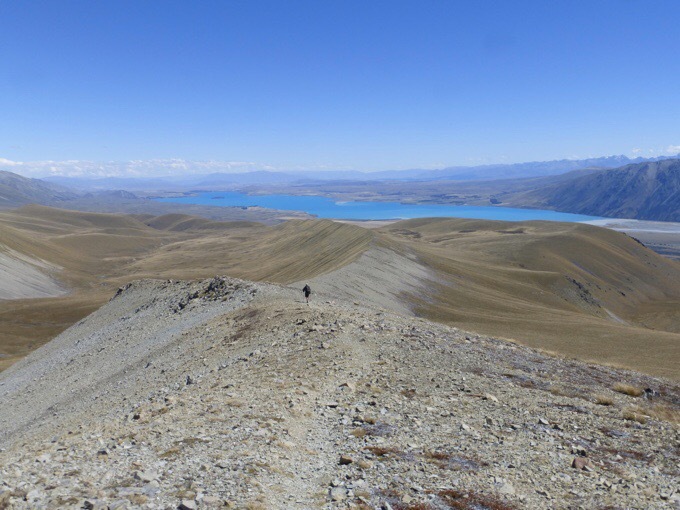 Tomorrow is the cruise into Lake Tekapo and a zero with a surprise friend who lives out here who is a hiking partner of mine. Some of the more detailed readers of mine may be able to guess who it is. I’m excited for the reunion! Wow, the South Island is amazing. You’re meeting up with E?! Crazy. We don’t even know how these huts stay up. the don’t always stay up. theres been a few old huts blown over by the wind. if you see ones with wires coming off from the huts, they are anchored to long concrete filled bolts, sometimes to a drum filled with concrete, and that can be all that keeps the hut from blowing over. take a look at the mueller hut foundations, industrial strength iron girders, anchored to concrete foundations. Wow, what a day. I wish I was on that one. So beautiful with awesome trail and views. I get how you felt just by looking at the photos and reading your exciting narrative. Hope you have a great reunion. I have spent a lot of time in the area you are now in and your description of it is excellent, it is an amazing area to spend time in. 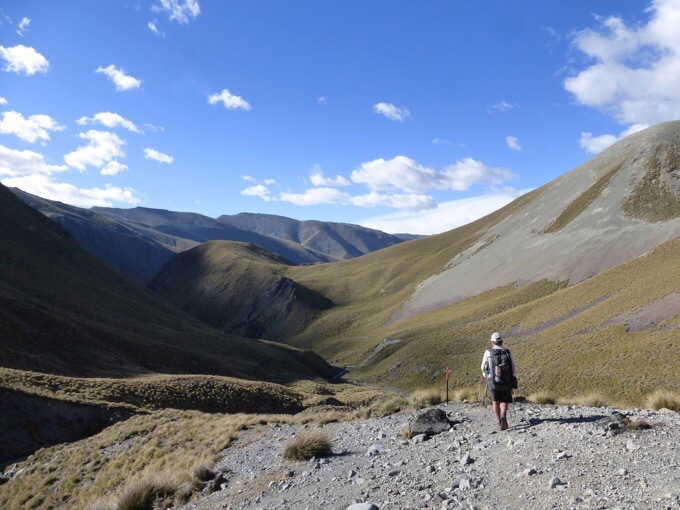 Really enjoying your narrative and photographs of the South Island section of teh walk. You´re meeting with E, your hiking buddy from GDT? Great! Best day ever!! This is the nz we all imagine! So happy that you got lovely weather in this epic scenery! Makes me want to go to NZ so bad! Felix is a good dude, he and Ned stayed with us in Waikanae (Kapiti Coast). Is Ned alright? I hope he’s not injured. Say hi to Felix from me please. Felix is awesome! Ned is doing great. Just pushing ahead on a schedule. 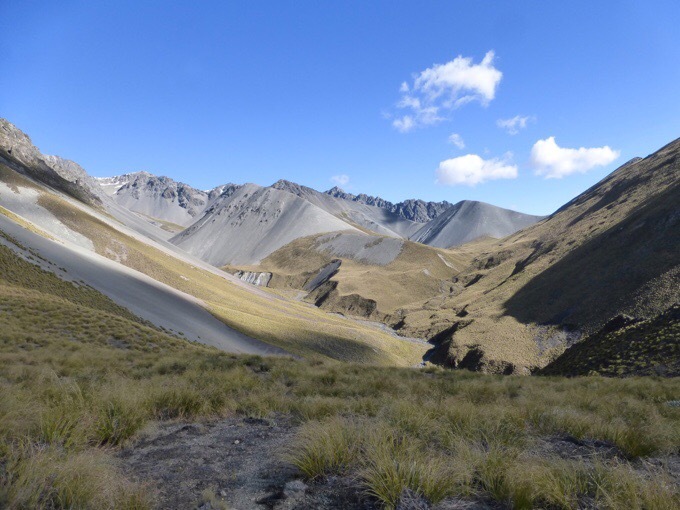 He did dislocate his shoulder near Waiau Pass and Felix got to pop it back in. Apparently a common occurrence for Ned. He did promise we will somehow see him again…possibly trail magic after he finishes! Looks like I barely missed meeting you in the Tararuas. Ouch! Yeah we had a talk about dodgy shoulders when they stayed. I’ve had multiple ops on my shoulder, so I feel his pain. Yeah, I think I missed you by a day or two, Ned and Felix said they were mates of yours. I left a note in the logbook at Parawai Lodge (Hut) wishing you and Becky a safe journey. Keep up the great work, it’s enjoyable reading your blog. Yes, I saw it and believe I commented either on comments in the blog or on that day’s post that I saw your comment in the logbook:) that was fun to see! What a great day!! I can feel the euphoria from here! I am too late to guess, but seems I knew you’d be seeing E on this trip.. that is great! So cool!!! That is definitely Middle Earth!!! Love the charging Rhino, always the pathfinder! Yes, it would be great to read about Griggs and Felix gear list. I have a euroschirm, used it on a short (1 week) trail and it was useful against sun and rain. But I am wondering if 230g is worth the service on such a long trail as TA. My umbrella has been one of my MVP’s of gear on the TA. I’ll have to work on that gear list. Keep forgetting to do that.